A surprise… but not the kind anyone would want. 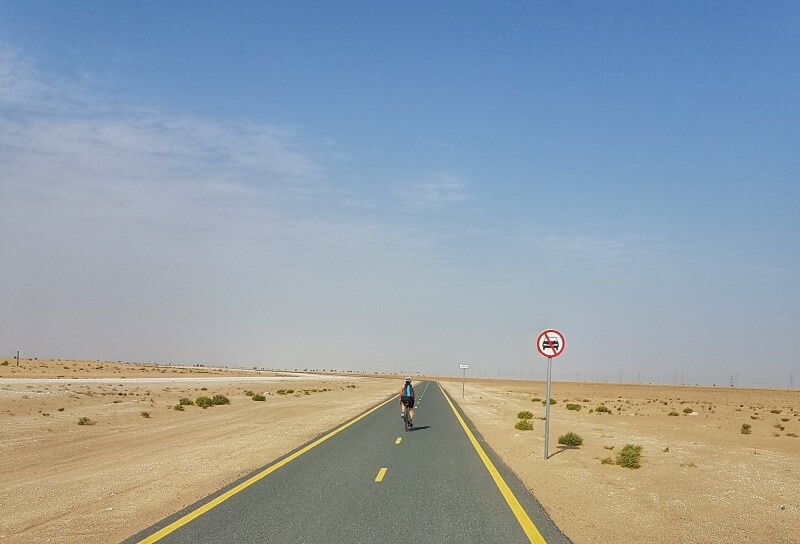 On May 26th I went out for a cycle, I did 20 miles on the Al Qudra cycling track out and felt fine during the cycle, though it was so windy on the way out that the loop back was much speedier. However, when I got off the bike my back felt unusually stiff and by the time we’d driven home it started to hurt more and I couldn’t bend or walk well. I spent most of the day lying down with a hot water bottle and taking anti-inflammatories. Going to bed I expected to wake up feeling OK and laid my clothes out for a morning run… who was I kidding! I didn’t sleep well and woke up on Sunday morning for work, in worse condition than Saturday. Week 1: I couldn’t dry myself after showering and had to sit to try and dress myself. I almost cried with pain while leaving the apartment and getting in and out of the car hurts a lot. After getting to work I almost cried with the pain again and manage to get a doctor’s appointment for the afternoon. As I told them I had back pain the appointment was with an Orthopedic doctor right away, during the consultation when he asked me to bend forward I thought he was joking, I could hardly move and the slightest tilt forward was agony. The doctor was surprised I hadn’t had any kind of trauma to cause it, it seemed to me like the pain just came out of nowhere. I had an x-ray there which shows a potentially herniated disc at L5-S1 and osteophyte so the doctor ordered an MRI, gave 1 week of sick leave and a prescription of anti-inflammatories, muscle relaxants and rest. I couldn’t move much for most of the week and could sit up for around 20 mins. I had severe pain mainly in my lower back and left leg to begin with and then started to get sciatic pain in right leg later in the week. I felt like the medications made me really anxious and watching the first episode of Evil Genius on Netflix before bed was a massive error as I had been sleeping badly all week and then not until 6am after that. Week 2: The following Sunday I had a check up with the doctor again and returned to work, where thankfully we have a sofa so I spent most of my time working from there as my back, legs and hips were in pain and burning sitting at the desk. I was still super stiff while walking, generally feeling bad and in so much pain. My insurance weren’t approving the MRI due to “conservative management requirements” so I went to an independent clinic on Wednesday for the MRI. Week 3: On Sunday I went back to the doctor to review the MRI report, expecting that the recommendation would be quite conservative such as physio but, due to the level of compression of the spinal canal from the L5-S1 herniated disc, he referred me to a neuro surgeon to discuss surgery options. Since I wasn’t expecting such a drastic response I was shocked and nearly cried there and then. The next day I had an appointment with the neuro surgeon who, after reviewing the MRI, testing my movement, strength and reflexes, recommended a microdiscectomy on the L5-S1 due to the risks of Cauda Equina Syndrome. After a lengthy discussion and many questions we went home to think about what to do next and talk to our parents, but overall I felt reassured that it would be the right option. Later that week I saw another doctor who said that physio might help but would not return me to my previous quality of life and activities and after a couple of months I would end up having the surgery. Then I also consulted a neurologist in Europe who based on the MRI, symptoms and abilities also recommended the microdiscectomy. I spoke with friends who were physios and they also said if this many neurosurgeons/neurologist recommended surgery they would go ahead and that it was a good case for surgery. We confirmed with the neuro surgeon that I would go ahead with the surgery and we submitted the insurance request. By this point I had constant pain or tingling in my back and legs and I started experiencing tingling in the saddle area for around 4 hours a day. Weeks 4-6: I read online about Pilates instructors who apparently cured their herniated disc and started reading the book “the Back Mechanic” which recommends not doing yoga, Pilates and swimming. I started to wonder again if it could be helped without surgery so I went to see an Orthopedic surgeon at a Physiotherapy clinic, thinking if anyone would recommend physio first it would be them, but again he recommended the microdisectomy and even potentially a spinal fusion and said that physio and injections would just delay the inevitable surgery. Over these weeks I was feeling exhausted and weak but managed to start walking more and more often, however the pain and leg tingling was still constant. The spinal canal was compressed to less than 30% of it’s previous size and the tingling in the saddle area increased and I struggled to go to the bathroom some days and ended up feeling so bloated and sick and almost fainted with abdominal pain. I managed to have some “good days” but only when I seriously limited my activity and we didn’t see that as a good option at 29 years old. Still, the mystery remained about what caused the herniated disc but the general consensus was mainly: sitting at a desk all day for work and posture, then possibly combined with frequent long-haul flights, cycling position/duration, weak core and glutes and some others I don’t remember. I guess we’ll never know for sure though. My microdiscectomy surgery was approved and scheduled for July 8th. Honestly, I felt unqualified to digest all the information about what might be the right way to recover and what to do vs avoid in the longer term but overall I am happy with the decision to go ahead with the surgery and have a “quicker” and better chance at a stronger recovery and a healthier future. *Disclaimer: This is a personal experience. I am not a medical professional and the words and other con­tent pro­vided in this blog, and in any linked mate­ri­als, are not intended and should not be con­strued as med­ical advice.